Supercars Chief Executive James Warburton says the category remains firmly committed to its plans to expand the Virgin Australia Supercars Championship into Asia. Speaking on tonight’s episode of Inside Supercars, Warburton said it was “a matter of when not what if” the championship heads to foreign shores. Supercars is considering a number of events in Asia including Thailand and Indonesia in 2018. “There’s things in the Thailand race that will be announced either late this year or very early next year … we’ll do what we did in KL and take a five car demo into that round,” Warburton said. “It’s taken almost five years for MotoGP, by the time they get into Indonesia, to get that round up – we’ll do it within two. Warburton is proud of the Asian plan, and keeping fans updated with his vision for the future of the sport. 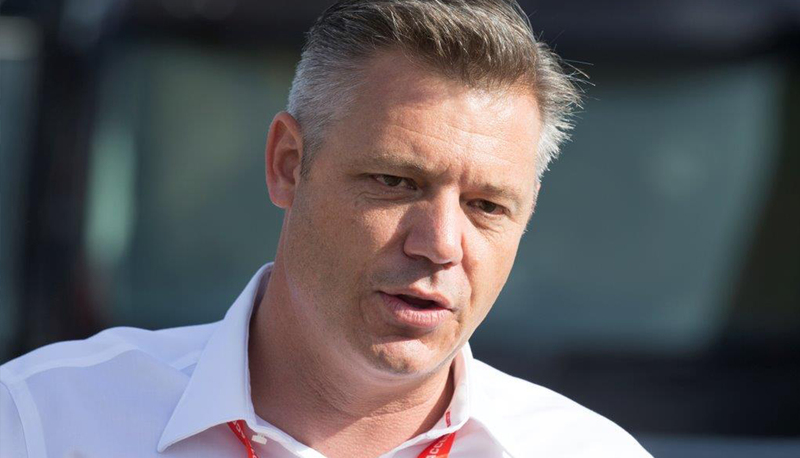 “I’ve been very clear about what we do, we’re very open and honest and transparent in terms of what our strategies are,” Warburton said on the Inside Supercars panel. Earlier this month Supercars released a statement saying the 2017 calendar would be announced after Bathurst, with no Asian rounds in play. Warburton flagged the Australian Grand Prix and the season finale as two parts that are still to fall into place, with this year’s event at Sydney Olympic Park the last. “We don’t know if we’re going Clipsal, Tasmania and then the Grand Prix, or Clipsal grand Prix Tasmania, there’s a few things there,” he explained. “And obviously our finale we are keen to lock in. “There is no decision other than we’ve got great partners in the New South Wales government and we will have a suiting finale in the regional New South Wales market." Stay tuned for tonight’s episode of Inside Supercars on FOX SPORTS 506 at 7.30pm AEST, featuring more from Warburton as well as Wilson Security Sandown 500 winner Garth Tander and 2014 Bathurst champ Chaz Mostert.